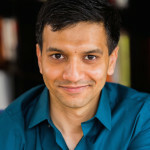 Vikram Paralkar was born in Mumbai, India. He moved to the United States in 2005 after completing medical school and is now a hematologist and researcher at the University of Pennsylvania. His writing has been published in the New England Journal of Medicine and he is a recipient of the American Society of Hematology’s Scholar Award. Paralkar also posts absurdist tweets. /One/: How did you come up with the idea for The Afflictions and how did it evolve to its present form? 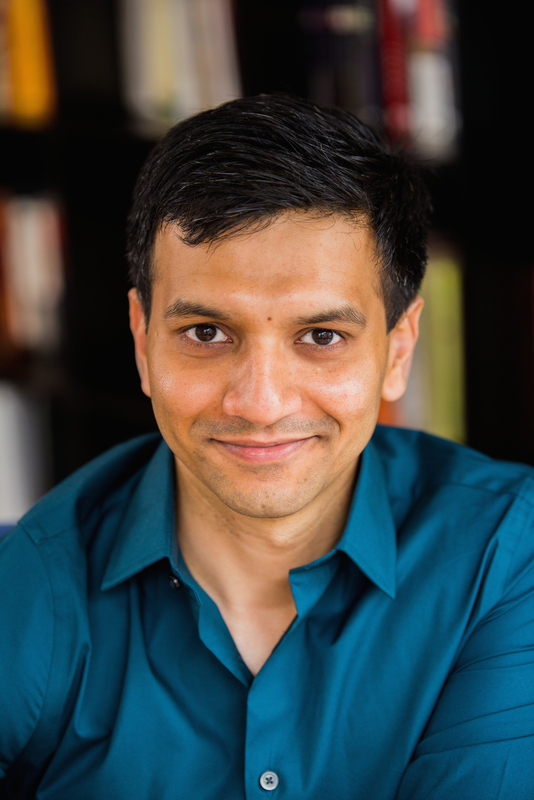 Vikram Paralkar: Some years ago, I began to write a short story about a town whose inhabitants awaken one morning to find that they all speak different languages, and can no longer communicate with each other. As I wrote the first sentences, I realized that the story would work better as a medical vignette, a brief account of an epidemic, written by a physician. That turned into ‘Confusio linguarum’, one of the afflictions in the book. Then I wrote a second, and a third, all with the same basic style, and it became clear to me that I could use this form to circle and explore a core set of themes – fragmentation, unity, identity, exile, sin, transcendence, divine will (among others). I eventually wrote sixty-six afflictions, and then boiled them down to the fifty that made it into the final draft. /One/: It seems to me that in many, if not most, of the instances, the afflictions described in the book are ethical or societal conditions, exaggerated or rather masked into medical ones, sort of giving us a glimpse of some of humanity’s disturbing and rather ugly behaviors. Did you intentionally want to use medical conditions as a mirror for us to reevaluate some of our actions? VP: I wasn’t particularly aiming for the reader to have anything other than an aesthetic experience from the book, though an experience of ‘disquiet’ could be thought of as both an aesthetic experience and an evaluative one, and it was certainly one I was hoping to evoke. It is true that many of the afflictions are magnified versions of moral failings, and I chose to steer my writing in those directions because I found that they gave me the sharpest tools to pry open human nature and present the ways in which it can be distorted. So while the goal wasn’t to have readers rethink their own lives and decisions, it isn’t an unwelcome thing to me as an author if the book somehow accomplishes that. /One/: What’s the lingering effect you’re hoping the book will have on the reader? VP: That’s a difficult question. I hope the reader will come away with the feeling that the gears in her brain have been turned, that she’s seen familiar facets of human existence exposed in unexpected ways, that she’s recognized patterns running through the afflictions that the author himself might not have realized. And perhaps (this might be too much to ask), that she has read something engaging and disquieting in equal measure. /One/: There’s a quality to this book that reminds me of Alan Lightman’s Einstein’s Dreams and Italo Calvino’s Invisible Cities. Did these books inspire you in some way? VP: I read Italo Calvino’s Invisible Cities when I was twenty-one, and the experience was akin to taking a dip in a lake of very cool, very pure water. It was a work of genius – original, imaginative, glittering – and it gave me an intellectual thrill that was only rivaled at the time by my reading of Jorge Luis Borges. Though I did not consciously set out to recreate the form of Invisible Cities, there can be no doubt that it was a major influence. I haven’t read Alan Lightman yet. A friend of mine, after reading early drafts of The Afflictions, gifted me a copy of Einstein’s Dreams, because she saw in my writing similarities with Lightman’s work. So I deliberately chose not to read it, to keep myself from being influenced. I still have the unopened book on my shelf – perhaps it’s safe to read it now. /One/: As far as structure, the novella is not plot or character driven but catalogues illness and reads much like the encyclopedia referenced in the text. When you started writing, did you know this was the structure you’re aiming for, or did that change as you moved forward with the project? VP: When I first started writing the individual vignettes, I didn’t have a structure in mind. I’d considered bundling them in groups of five or six and publishing them in literary journals. However, as the numbers began to mount, and reached over fifty, it became clear that I needed some kind of overarching structure – some framing device – to tie them together into a single book. I tried a number of different ideas. I tried detailed characters embroiled in conflicts over a span of months (in other words, a real plot). However, it was evident from the beginning, and remained evident, that the afflictions were the true focus of the book, and any attempt to weave complex plots around them resulted in an uncomfortable marriage that did justice to neither partner. So I just stripped the framing device down to its bare essentials, to a light conversation between two librarians over the course of a day. The conversation touches upon some of the themes in the book, but it does not overpower the afflictions, and allows them all the space they need. /One/: Who, or what, in your mind, is the book’s main character? VP: Man. Imperfections and all. /One/: Can you name some of the afflictions that have occupied your mind or rather disturbed you most and why? One of the problems with familiarity (especially the kind of familiarity that comes with multiple back-and-forth editing and proofreading sessions before publication) is that the author becomes incapable of seeing menace in his own writing. But I can point to two afflictions that disturbed me during the initial writing – ‘Virginitas aeterna’ and ‘Pestis divisionis’. Both describe violence of an intimate nature that I find repellent, but which the afflictions seemed to demand. /One/: In ‘Exilium volatile’ the afflicted are sea travelers who feel disconnected from their homes and suffer exile. When they arrive at their destination, they feel as though they’ve become locals of the new land. Some never recover and will forever feel exiled. This was one of the afflictions that haunted me. Can you discuss the illness and the impetus behind it—were you thinking of geographical or philosophical exile, or both, when writing this piece? VP: It’s interesting that you picked this one, since it’s one of the few afflictions that I wrote with a specific personal experience in mind. I was trying to recreate what I felt in 2005 on a flight to Philadelphia. I was leaving Mumbai, the city of my birth, to start a new life in the United States, and hadn’t anticipated just how wrenching the transition would be. Exilium volatile is, in that sense, quite clearly tied to geographical exile, but spanning the broadest sense of geography and everything it entails – culture, food, language and family. /One/: How, as a physician, did your medical knowledge inform The Afflictions? How, if at all, did it hinder the writing? VP: I believe a non-physician could have written The Afflictions just as well as me. However, being a physician helped in two ways – I was already steeped enough in the vocabulary and methodology and obsessions of medical inquiry that it was easy to transplant that manner of thinking to the framework of these surreal diseases. The second was that it allowed me to avoid real illnesses. After all, so many bizarre maladies, especially of identity and language and memory, already exist in the real world, that it helped to have the knowledge to steer clear of them. I don’t believe that being a physician hindered my writing in any way, unless you count the hours I spend at the hospital, unable to write. /One/: What’s next for you? VP: I have a completed novel titled The Wounds of the Dead, which I’m looking to publish. It’s set in a small clinic in rural India, where a surgeon is visited by the dead, who ask him to mend their wounds so they can return to life at dawn. I also have a number of other ideas for novels germinating in my head, and am waiting for one of them to take root. This entry was posted on Monday, November 10th, 2014 at 6:06 am	and is filed under Interviews. You can follow any responses to this entry through the RSS 2.0 feed.